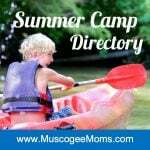 Join us for NIM Kid’s FREE Spring Break Film Fest with media sponsor MuscogeeMoms! Looking for something to do with the kids during Spring Break? 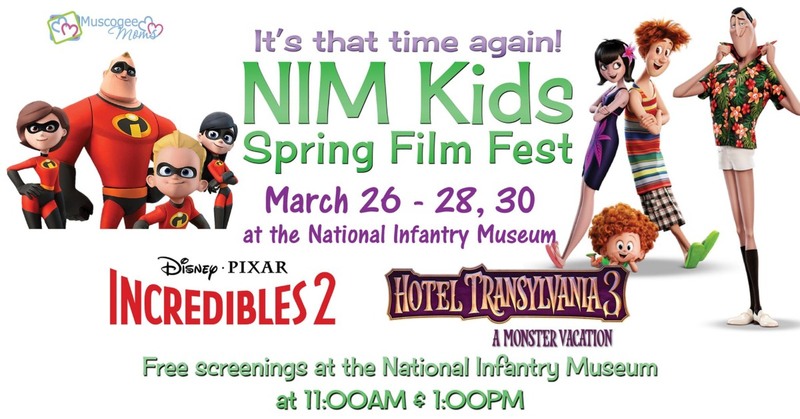 NIM Kids is hosting the 2019 NIM Kids Film Fest (Spring Break Edition) March 26-28, and 30. The films are FREE to the public! On Wednesday, March 27th both showings will be sensory friendly. Admission is on a first come, first seated basis. Concessions will open prior to the first showing. Specials will be available, including a Snack Pack ( popcorn, fruit snack, and 16 oz. drink) for $5. Tuesday, March 26: 11:00am: Hotel Transylvania 3: A Monster Vacation; 1:00pm: Incredibles 2. Wednesday, March 27: 11:00am: Incredibles 2; 1:00pm: Hotel Transylvania 3: A Monster Vacation. (Both Sensory Screenings). Thursday, March 28: 11:00am: Hotel Transylvania 3: A Monster Vacation; 1:00pm: Incredibles 2. Saturday, March 30: 11:00am: Incredibles 2; 1:00pm: Hotel Transylvania 3: A Monster Vacation. Security Check: Bags larger than 11” x 6” x 15” are not permitted inside the museum or on the museum campus. Bag checks and wand scans will be conducted to ensure guest safety. No outside food or drinks are allowed.